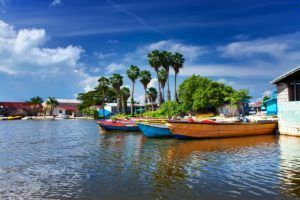 A Caribbean company has sent the first-ever shipment of medical cannabis from Jamaica to Canada for analytical testing, marking a watershed moment that portends significant growth in trade between the countries, executives say. Jamaica’s Timeless Herbal Care shipped extracted cannabis oil to Synfine Research, an affiliate of Toronto Research Chemicals (TRC) – both licensed dealers with Health Canada – in mid-September. “This was the first test shipment to create a pathway from Jamaica to Canada,” Timeless Herbal Care CEO Courtney Betty told Marijuana Business Daily. Timeless Herbal Care was one of the first licensed producers in Jamaica. Since Jamaica passed the “Ganja Law” in 2015 legalizing cannabis for medical or therapeutic purposes, the country’s MMJ industry has been a center of growth. A spokesperson for Jamaica’s Cannabis Licensing Authority, which oversees the permit process for the cultivation, processing, distribution, sale and transportation of medical cannabis, told Marijuana Business Daily it had issued 22 licences as of the end of August. An additional 126 are at the “conditional approval” stage, according to the Authority. Canadian medical cannabis businesses see increasing opportunity in Jamaica. Synfine and Timeless Herbal Care are in the process of forming a partnership “to combine Jamaican medical cannabis oil with the knowledge and expertise of (Synfine/TRC),” said Larry Dime, Toronto Research Chemicals’ vice president of business development. Dime said the cannabis will be tested to ensure it is compliant with Health Canada’s pesticide restrictions. Synfine hopes to combine its catalog of more than 800 cannabis compounds with natural marijuana strains from Jamaica to develop products and verify their medical efficacy through clinical trials. “There’s a huge opportunity with synergies between Canada and Jamaica,” he said. “Jamaica’s government recognizes that the medical cannabis industry presents tremendous potential for the country,” Betty said. Medical cannabis markets are expanding in the Caribbean. One month after decriminalizing cannabis earlier this year, Antigua and Barbuda started drafting legislation to legalize recreational and medical marijuana sales. WOW…this is definitely history in the making.